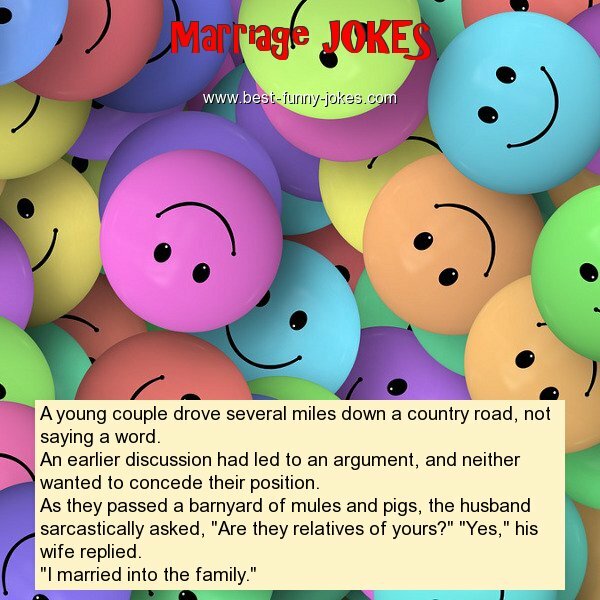 As they passed a barnyard of mules and pigs, the husband sarcastically asked, "Are they relatives of yours?" "Yes," his wife replied. "I married into the family."